Red Wine and Cheese Please! Whenever I go out in the cold all I can ever think about and want to do is snuggle up on the couch, light candles and drink lots of red wine. Luckily, we are heading to the Bahamas to meet our dear friends tomorrow and could not be happier to be escaping NYC to get some sunshine. Actually, it’s a good thing we are heading out tomorrow – the weather looks to take a turn to the cold side - high of 34° to a low of 26° YIKES! However, although I will be gone and most likely will not be drinking red wine, I would never leave you empty handed on selections, especially on New Years Eve party ideas. 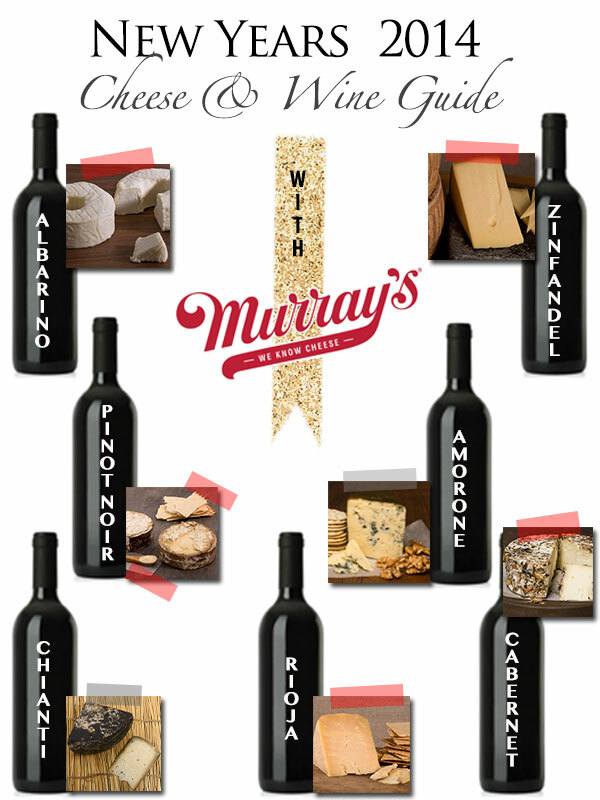 Drumroll please…… Keeping in mind it will be a bit chilly, I have partnered with THE BEST cheese shop in NYC, Murray’s Cheese to bring warmth to you and your guests with a fabulous red wine and cheese pairing guide for your perfect New Years Eve soirée. So tell your guests to bundle up for a short cab ride, because YOU are HOSTING the warmest and best affair in all of NYC or wherever you are for that matter! Cheers and wishing you all a very Happy and Healthy 2014!